Kin should not work as well as it does. It has some shoddy characters riven with cliché’s who make not just difficult to understand but frequently nonsensical choices amid a clumsy plot. There are also too many competing premises to develop and make us care about as it weld’s a science fiction MacGuffin onto a more prosaic family crime drama. But Kin also has a plethora of charismatic actors making better than the best of thin characters, especially Myles Truitt’s Elijah Solinski, as a young man trying to define his identity between the desires of the world and his adopted father Hal (Quaid). Also he’s got to figure out what to do with the alien ray gun he’s discovered. All of that is upended when his older brother Jimmy (Reynor) returns from jail and brings a host of problems with him in the form of trigger happy hoodlum Taylor (Franco). In every sense the opposite of Elijah, Jimmy should be Kin’s fatal flaw – a character designed to move the plot with little in the way of dimension. His decisions are so mind bogglingly ill-conceived and the chaos he leaves in his wake is so total, a strong argument could be made that he is actually the villain of the film. It’s to Reynor’s credit that he makes Jimmy as likeable as he does that we can almost empathize with his growing relationship with Elijah. 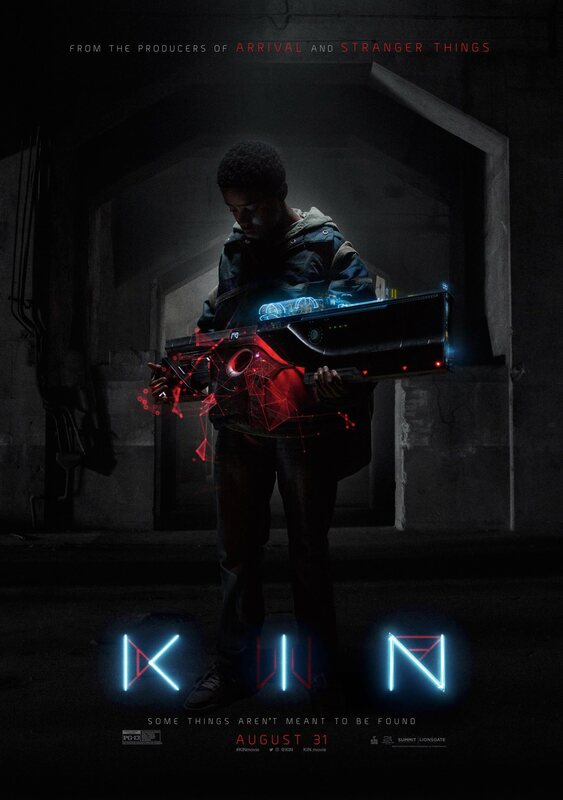 That’s no small thing as Kin’s prime theme of the necessity and strength of family (biological or otherwise) which work’s as Kin’s through line rather than its plot, which suffers from its episodic nature. After a robbery gone wrong, Jimmy and Elijah hightail it across country to Lake Tahoe with everyone from the police to Taylor to a pair of enigmatic alien bounty hunters chasing after them. They pause periodically to take up with exotic dancers (Kravitz) or rob illegal poker games, creating a start and stop rhythm which keeps tension or suspense from developing. This is surely intentional as director’s Jonathan and Josh Baker seem more intent on crafting a character study than an action film no matter how many trucks they blow up. That creates quite a few interesting one of scenes, especially any featuring Taylor as he is built from the quirky weirdness Franco frequently embraces. But it also means spending a lot of time with Jimmy and is self-destructive impulses which is extremely off-putting. It’s very difficult to care for stupid characters and Jimmy is about as stupid as they come, nor does he ever really face the consequences of his actions. The saving grace is that many of his scenes are shared with Elijah, giving those moments an emotional depth they don’t really deserve. It’s unclear how much of any of this is helped at all by having him cart around a giant ray gun beyond introducing a sci-fi contrivance to appeal to genre fans. That’s not fair, the ray gun is eventually worked into the film in both theme and plot but it takes a long time, arguably longer than its payoff can be worth. Rather it feels like nothing so much as a lack of faith in the family and crime drama aspects of the film and felt a need to weld an extra hook onto it. Which has led to plenty of entertaining films in the past but only with the full integration of the genre conventions with the plot and Kin never has the full strength of its convictions. It feints for as long as possible until finally all of the pieces converge in a tiny police station in nowhere Nevada. None of this is a deal breaker, though. Sure suspension of disbelief is tough to maintain and the plot has tendency towards the laziest possible method of making things happen. It’s a film which wants you to think about what it’s saying, but not too hard. Still, as clumsy as it can actually be, Kin’s core themes and Elijah’s strength as the embodiment of them creates real emotional attachment that even the goofiest character choices cannot undermine. 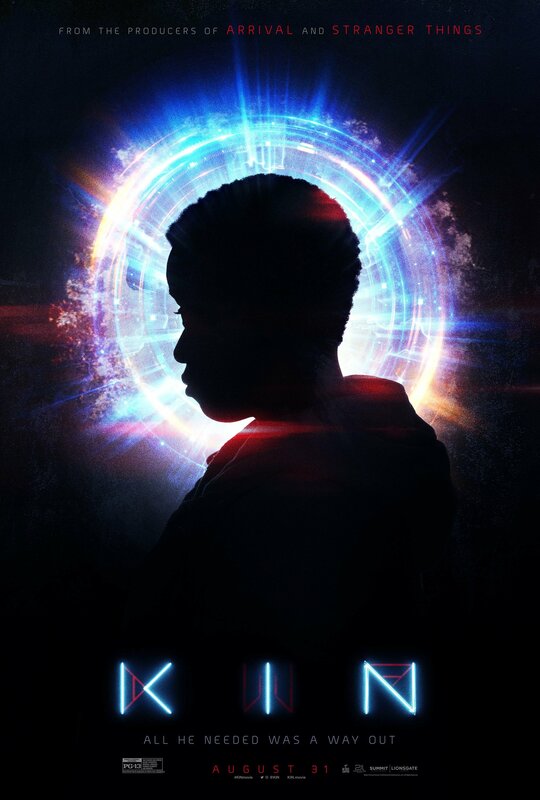 The post Kin Review appeared first on ComingSoon.net.